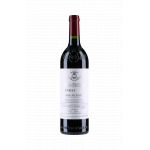 Vega Sicilia is the maker of this 2004 Vega Sicilia Unico , a red wine from Ribera del Duero that is based on the best of tinto fino, tempranillo and cabernet sauvignon of 2004 and has an alcoholic strength of 14%. The 2004 Vega Sicilia Unico is the ideal red to combine with foie and bar-b-q. At Uvinum, this red wine scores an average rate of 4,1 of 5 points and has also robert parker: 96, wine spectator: 94 and peñín: 95. - View: 2004 Vega Sicilia Único shows intense ripe cherry color, with the sharp edge of a wine that is always correctly. 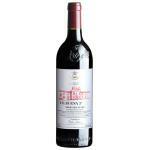 - Nose: The aroma prevail toasty wood notes with countersunk its oxidative evolution during his years in cask. - Palate: amplitude has aged but clean flavors of wood, dry and pleasantly bitter tannins from oak, with his touch of light sweetness of her spirit. It is a very long wine flavor with race. 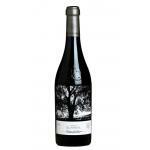 GRAPES: 92% Tinto Fino, 8% Cabernet Sauvignon. Moving on to the big guns, the 2004 Unico is truly spectacular, in line with the 1970 and 1994. 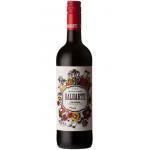 It’s a blend of 87% Tempranillo and 13% Cabernet Sauvignon. Unico has a unique long aging, in the case of the 2004, 15 months in 20,000-liter vats, 25 month in new barrels, 17 months in used barrels and a further 26 months in the big oak vats. 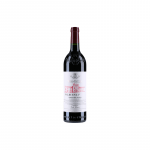 It has complex notes of tobacco, cedar wood and blackberries, and shows very good balance between power and elegance as well as perfect ripeness. It has a similar profile to the 1994, but there’s ten years difference in experience and technical knowledge. There is nuance; there is detail, filigree, balance, harmony and complexity. There is a fine texture. In short, it is a great, world-class wine, a superb vintage for Unico. 87,500 bottles, 2,229 magnums, 150 double magnums and 5 Imperials were filled with this extraordinary wine. This is approachable now, but it’s a shame to drink so soon. It will age for a very long time, as it has the balance and harmony to do so, and it will develop more complexity with time. Drink 2016-2029. But if the single harvest Unico is fantastic, the multi-vintage blend could be even better as it also plays with the benefit of extra aging time. I tasted the latest three vintages of Valbuena, to get up to speed with what’s in the market. 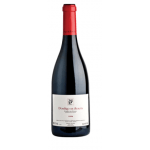 If there’s a wine in their collection that has seen a huge improvement since 1998, it is Valbuena, which had been kind of neglected since the launch of Alion in the early 1990s. For Valbuena, they do not want a second wine in the Bordeaux style. But with the competitive Alion breathing down its neck and the pressure of its big brother, it felt a bit out of place. So they decided to look back at the vineyards: they studied the soils and saw why Unico and Valbuena had been (empirically) produced from separated plots. 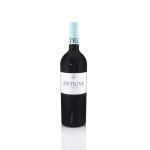 - Vista: Vega Sicilia Unico 2004 has an intense ripe cherry color, with the sharp edge of a wine that is always in abundance. 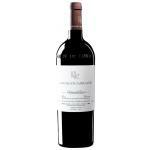 The Vega Sicilia Único 2004 - Red Wine with 750ml is a Red Wine made in Spain Castilla y León. Ageing: in wooden vats and soaked in wine barrels and new. Pairing: All kinds of meat and game, as well as fatty fish. 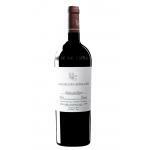 If you want to buy 2004 Vega Sicilia Unico, at Uvinum you will find the best prices for Ribera del Duero red wine. Get it at Uvinum, quick and 100% safe via any device. We offer a large catalog of wine, beer and spirits becoming this way the biggest company to sell wine, beer, and spirits online in Europe with more than 38.000 satisfied customers.